Halaboussi "criticizes" Abdul Mahdi .. I was expecting to send the names of candidates during the legislative term .. But ..! 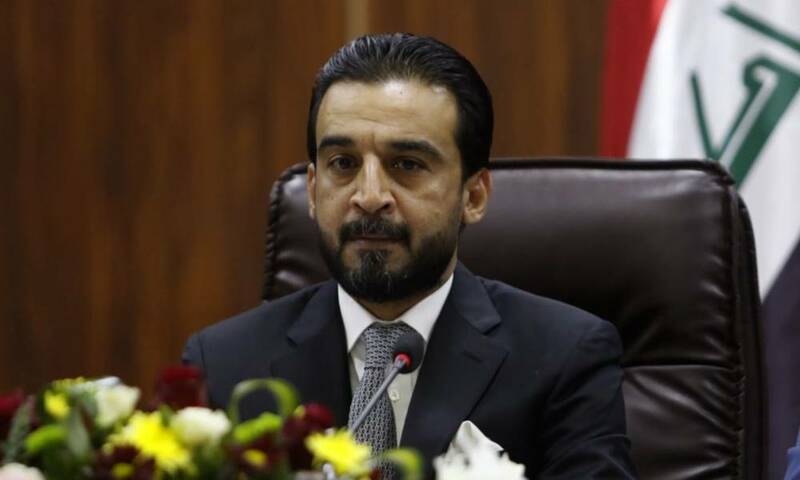 President of the House of Representatives Mohammed Halbousi, Sunday, on the reasons for not completing the cabinet cab for the government of Prime Minister Adel Abdul Mahdi, indicating that there are problems and disagreements between the political blocs regardingthe remaining ministries of the government of Abdul Mahdi. "I expected Prime Minister Adel Abdul Mahdi to send the names of the candidates of the ministries to parliament during the second legislative term, but this did not happen unfortunately," said Halboussi, adding that "the survival of the security ministries are vacant throughout this period is not convincing and final and the political blocs Resolve it with a fixed time limit. " "There is a Kurdish-Kurdish problem related to the Justice Ministry and its candidate and there is an incompatibility between the other political blocs on the candidates of the security ministries, which led to the survival of the government of Abdul-Mahdi incomplete during the previous period." Halbusi asked "Is there an intention not to complete the ministries and keep them proxy .. This is unacceptable for us," noting that "the prime minister left the field open to the political blocs to choose candidates for ministries."